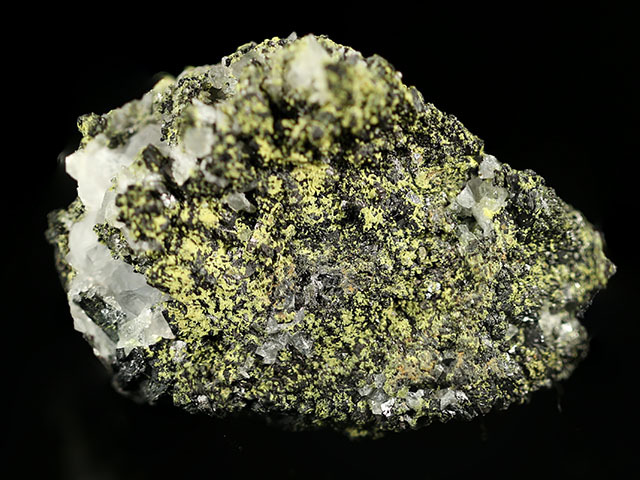 Hydrotungstite is a hydrated oxide of tungsten; Kerr & Young (1944) named the species after its hydrous nature and its relationship to tungstite. 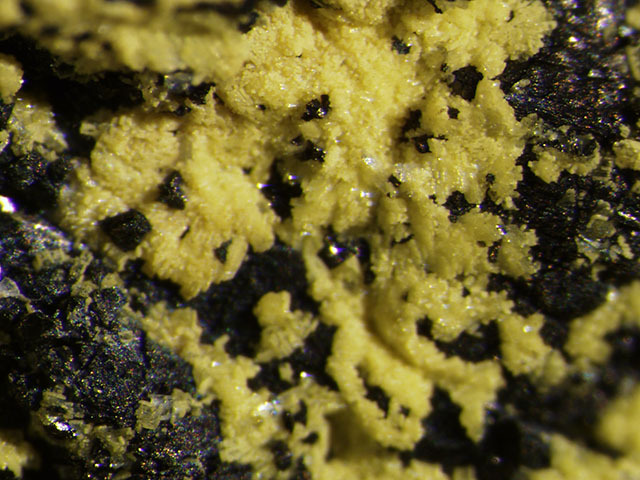 Hydrotungstite forms by alteration of ferberite. The bulk of this specimen is ferberite with admixed quartz. 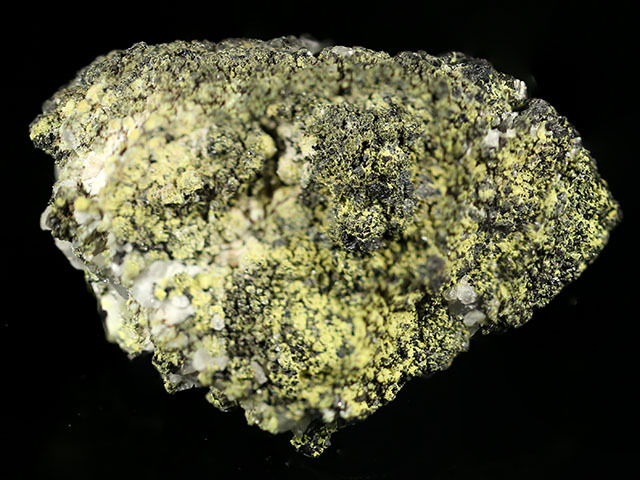 On the ferberite is a coating of bright yellow scaly hydrotungstite. Rare!